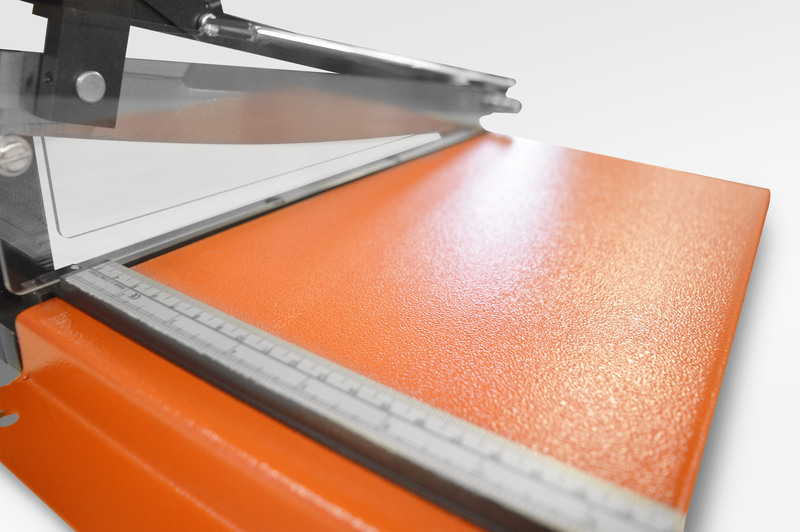 Shear designed to accurately cut FR4, GRP, PCB laminate sheets up to 1/8″ thick (3.175mm). These shears will also cut aluminium, brass etc up to 1.5 mm thick and Plastics up to 2.00 mm thick. 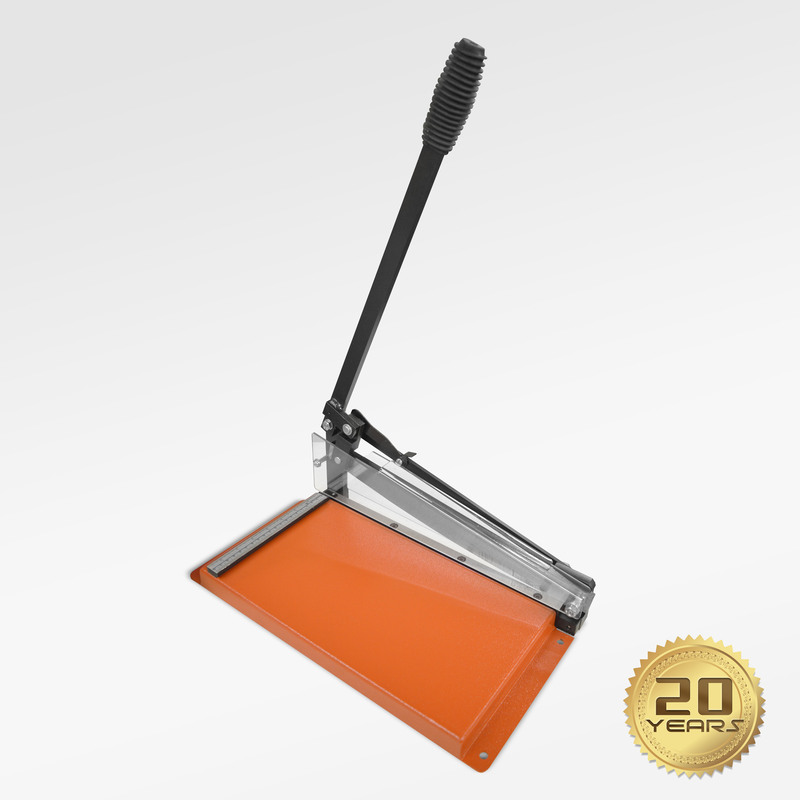 As well as being used extensively for cutting printed circuit boards in the Electronics market this table top cutter is also very popular product with Sign makers, Jewellery Maker, Metal Engravers, Sublimation and Trophy Centres etc. Order Code: GU-0300-01. Category: Metal Shears and Precision Guillotines. 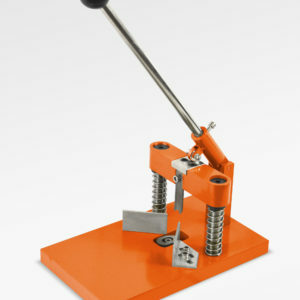 Tags: Cutter, G10 FR4, Guillotine, Metal Engraver, PCB, Shears. Powerful Bench top Shear (700-500) which has being developed to accurately cut G10 FR4 PCB laminates up to 1/8″ Thick (3.175mm), Aluminium up to 1.5 mm thick and Plastics up to 2.00 mm thick. These Table top hand PCB shears are manufactured with maximum safety in mind which make the shears ideal for schools and colleges. 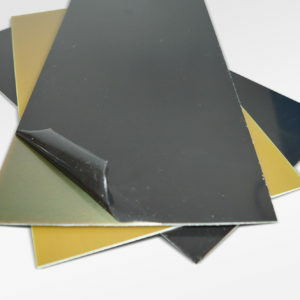 They have also proven very popular with Metal Etchers, Trophy Centres, Sublimation and Sign Makers. The lower and upper cutting blades of the cutter are constructed from Hardened and Profile Ground Sheffield Tool Steel and are adjustable to allow effective efficent cutting. The top cutting blade is enclosed by a wrap around clear plastic PETG safety guard thus preventing access to the cutting area, and in addition a safety latch is fitted to prevent operation of the shear without the latch first being released. The PCB cutters also feature four fixing locations to allow permanent fixing to a bench top or surface The shears are ruggedly constructed from an all steel frame. 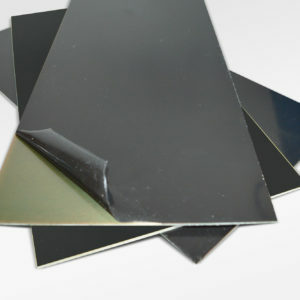 The cutting bed is of a robust steel construction finished in a epoxy stove enamel. 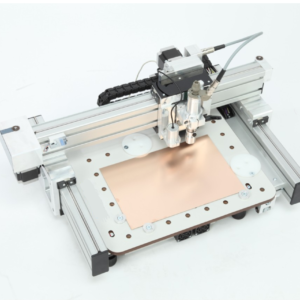 For positional accuracy and precision cutting the bed of the Bench Top PCB shear cutter is fitted with a Dual Scale ruler plate that has a recess to assist in securing the Laminate or sheet material during cutting. The 12 Inch Shear has a cutting capacity of 305mm, with a cutting bed 225mm wide, although wider material can be cut. Replacement sets of shear cutting blades are available to order separately.